Of what, you might be asking? If you’re not an app developer, you could be forgiven for not knowing the significance of today. But if you ARE an app developer, and you’re using any API or push notification services from Facebook’s Parse, AND you haven’t moved your services yet – you’re in trouble. That’s because today is the day that Facebook will be pulling the plug on all of its Parse services. The Parse shutdown is today. As detailed in the Parse blog, they’ll be switching off APIs and other services on an app by app basis. If you haven’t moved your apps yet, don’t panic. We’re here to help. Kumulos offers all the functionality of Parse services with more to boot. All in one solution – Backend, Analytics, Push Notification and App Store Optimization all in one. Just Push – If you’re just using Parse Push, replace with Kumulos Push. Unlimited number of development accounts. Unlimited number of push messages and active devices. Free unlimited AWESOME support to help you with the migration. Bring your Own Data – Free data import service and hookup feature so you can keep using existing data sources. THAT’S what we can offer you with Kumulos. Even if you’re not effected by the Parse shutdown and just want to come over to Kumulos to kick our tires – feel free. With our up to 30 day free trial, you’ve got a no cost and no obligation chance to see what it’s like to work with Kumulos. The Parse shutdown is approaching – and now that we’re in 2017, it’s getting closer every day. Back in January 2016, Facebook announced that it was shutting down their Parse server application on January 28, 2017. And – if you haven’t changed your calendars yet – January 28 will be upon us in just a few short weeks. 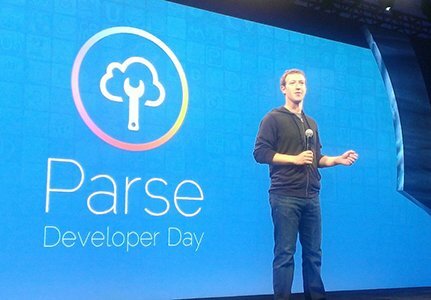 There were a lot of rumors and speculation about why Facebook decided to shut down Parse: as an “aquihire”, to add more functionality to Facebook login, because Parse wasn’t profitable – but, in the end, Parse just didn’t fit into Facebooks new revenue model. So, come January 28, if you are still trying to run an app with Parse, you’ll find that the Parse API no longer works, databases can’t be accessed and Parse Hosting Services are kaput. Which is pretty much what Facebook has been warning developers since 2016. But don’t worry, Kumulos has you covered. Kumulos is your all in one solution for your app build needs – with backend, push services and app store optimization all built right into our easy to use dashboard. To put it simply – as we like to do here – Kumulos is THE app build platform you’ve been dreaming of. But if you’re already happy with your current backend provider and just need to replace Parse push – no problem – we think you’ll find our UNLIMITED push notification service more than enough to fit your needs. And we have a handy Parse Migration guide to help you step through moving over from Parse to Kumulos. Because that’s just how much we like you. Don’t think of this as an end – think of it as a beginning. The beginning of a new and better way to build awesome apps for your clients, with Kumulos right there by your side. Take Kumulos for a spin today!